Welcome to the Spook Show Special! Over the weekend, we went to Spook Show #5 held at Halloween Club in La Mirada! There was so much fun to be had and so many things to see! We were able to speak to a few people to find out more information about a few things. 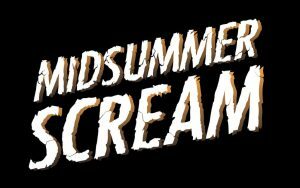 Check out interviews with Dora, one of the driving forces behind Spook Show, David from Midsummer Scream, Larry Bones from Into the Black and Boneyard Effects, Emily from ScareLA, and Sarah from The Fools Festival. Spook Show continues to be an amazing gathering for everyone into haunts, horror, and fun! The Fools Festival – Website, Facebook, Instagram, Twitter, Facebook Event Page, and Tickets!